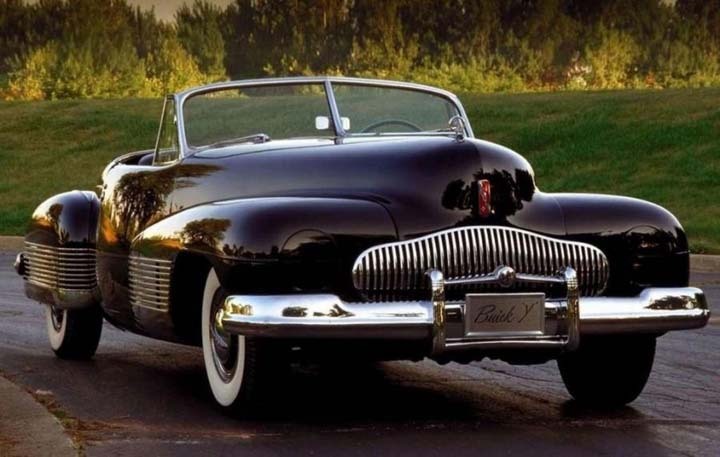 Click the link below (“Great Pics”) for a cool Power Point slide show of 43 classic and custom cars from the past. 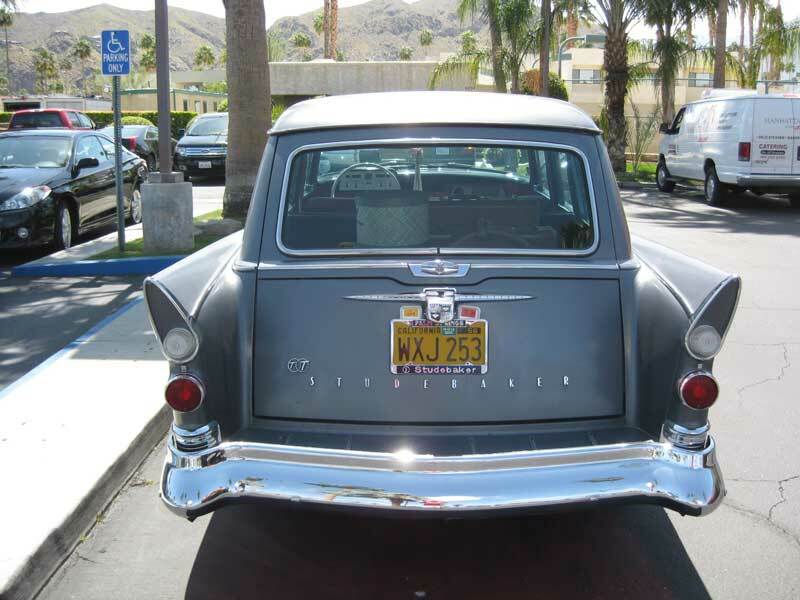 I found this 1958 Studebaker Provincial Wagon in the parking lot of Manhattan in the Desert in Palm Springs. 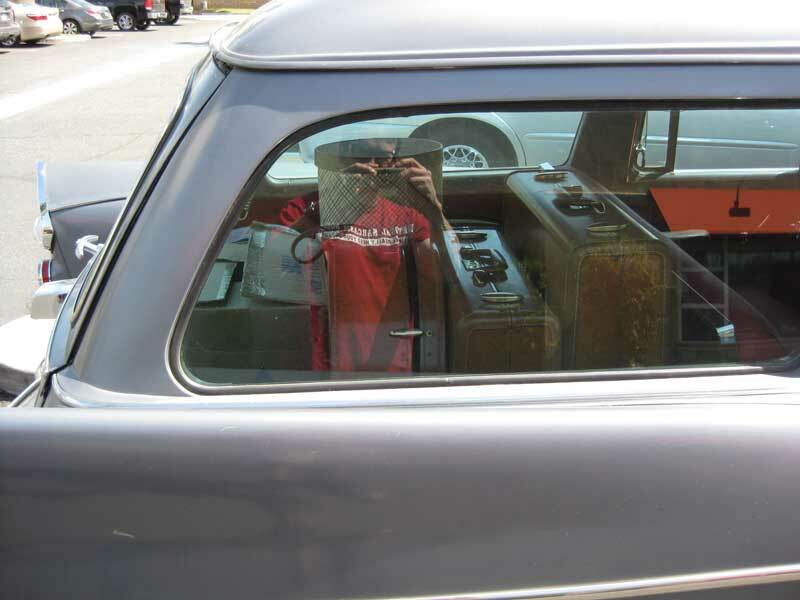 I love station wagons and this is one fantastic classic wagon. 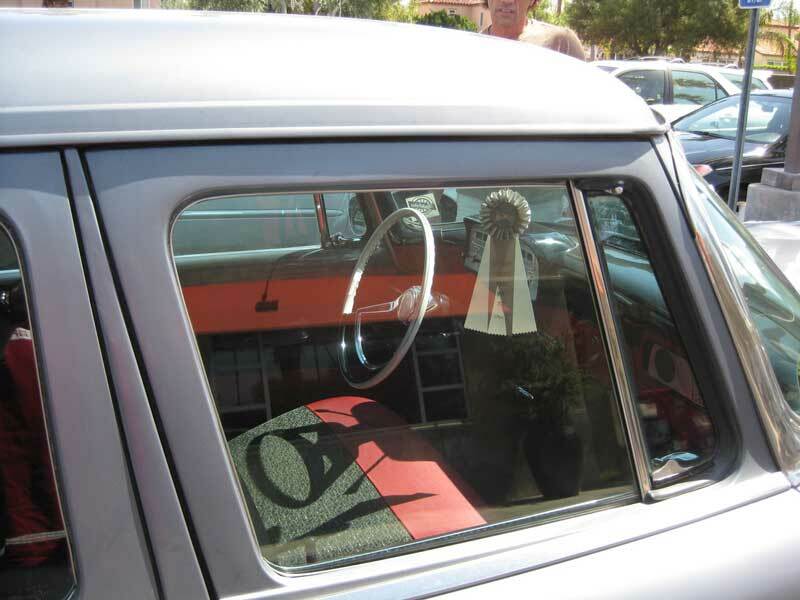 It had a ribbon dangling from the rear view mirror for winning a “Best Fins” award at a recent auto show. 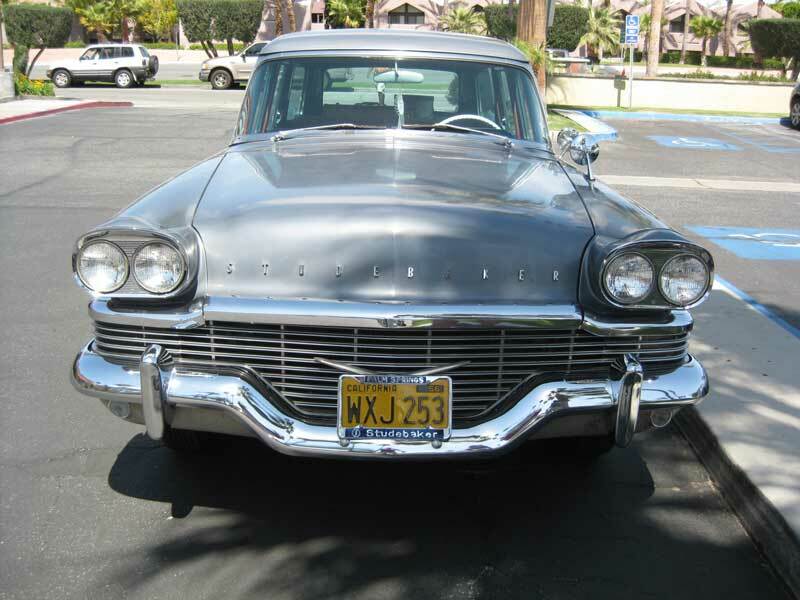 The “T T” on the tailgate and rear side panel stood for “twin traction,” sort of a limited-slip differential – very sophisticated in the 1950s. Enjoy! 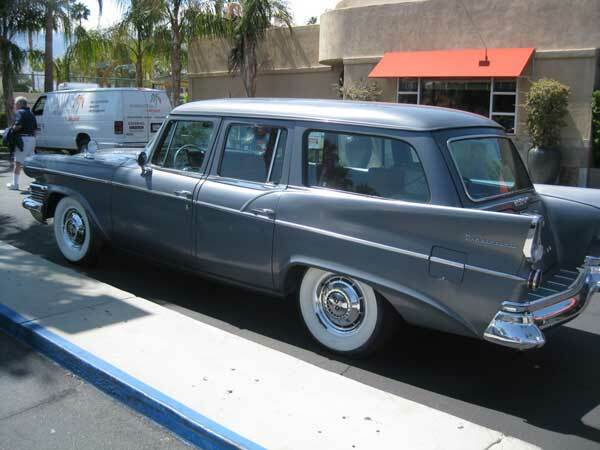 1958 Studebaker Provincial - note the TT badging as well as those fantastic fins. Notice the vintage luggage in the cargo area. Nice touch! This wagon was big and heavy. It's a great classic car. Love the chrome logo hub caps and white side wall tires. The interior was beautifully restored too. Hard to get a picture with the windows up.